Welcome to our online anaphylaxis training course for schools, early years, sports clubs, healthcare and social care providers. 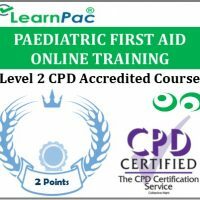 Our online paediatric anaphylaxis training courses are developed in line with the latest UK legislation and meet the requirements set out by the Resuscitation Council (UK), OFSTED, National Health Service (NHS), Skills for Health’s UK Core Skills Training Framework (CSTF), the Care Quality Commission (CQC), Skills for Care, UK Health and Safety Executive and other professional and regulatory bodies. Why is anaphylaxis training for schools and early years important? Every school, nursery or early years setting is likely to have at least one pupil who is severely allergic to a type of food, and many schools will have more. It is essential that all teachers, nursery staff and others who work with children have appropriate training to enable them to recognise and manage severe allergic reactions in schools and community settings. What is covered in this online paediatric anaphylaxis course? Who is the online anaphylaxis training course for? Our online anaphylaxis training courses for schools and early years should be completed by all teachers, nursery staff, healthcare and social care staff. This includes voluntary staff and unpaid working in schools, nurseries, community and sports clubs, NHS and private hospitals. Locum doctors, locum allied health professionals, agency nurses and healthcare assistants who work with children can also complete these e learning courses. These anaphylaxis training courses for schools are also relevant for health and social care support workers, including those who work for children’s care homes, residential care homes and charities. 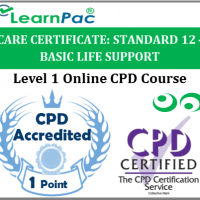 At the end of this paediatric anaphylaxis e-learning course, learners will be required to complete an online assessment. On successful completion of the knowledge test (80% pass mark), learners will be able to download a FREE CPD certificate that is valid for one year. 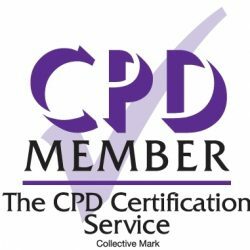 The content of this online anaphylaxis training for schools and early years has been independently certified as conforming to universally accepted Continuous Professional Development (CPD) guidelines. After adding your anaphylaxis training for schools and early years to the shopping cart (by selecting Add to Cart), you will be able to make a secure payment using all major credit and debit cards. Anaphylaxis is a serious allergic reaction that is rapid in onset and may cause death. For many children, the symptoms of allergy are mild. However, occasionally the symptoms are severe and they may even be life-threatening. The common causes of severe allergic reactions (anaphylaxis) include foods such as peanuts, tree nuts, milk, eggs, shellfish, fish, sesame seeds and kiwi fruit, although many other foods have been known to trigger anaphylaxis. Peanut allergy is particularly common – with one in 70 children nationwide thought to be affected. Non-food causes of anaphylaxis include wasp or bee stings, natural latex (rubber) and certain drugs such as penicillin. The good news is that even the most severe form of allergy is manageable. The vast majority of the children affected are happily accommodated in mainstream schools thanks to good communication between parents, school staff, doctors and education authorities. With sound precautionary measures and support from the staff, school life may continue as normal for all concerned. What are the signs and symptoms of anaphylactic shock? It is essential that all teachers, nursery staff, school nurses and those who work with children should complete paediatric anaphylaxis training, including the safe use of adrenaline injections such as Epipen Junior, Jext and Emerade. Can an EpiPen stop an asthma attack? In the event of an emergency (where the child may be experiencing an asthma attack or severe allergic reaction), use EpiPen ® first (or other adrenaline/epinephrine injections such as Jext or Emerade). After using the epinephrine injection, follow medical instructions for controlling asthma. 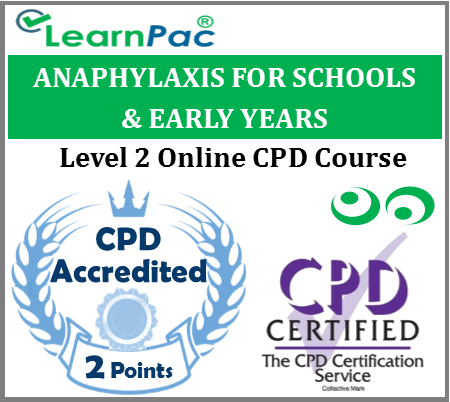 This online anaphylaxis training for schools and early years was developed in line with the CSTF learning outcomes.